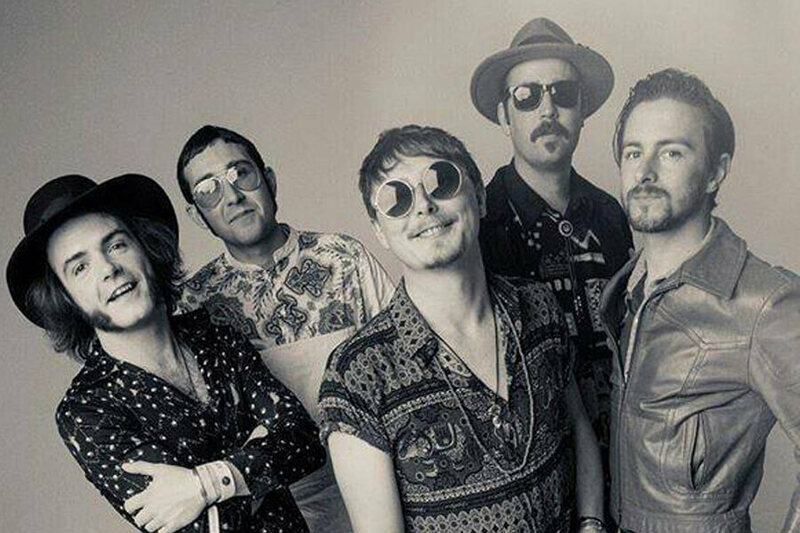 The Hot Sprockets are five brethren who came together with a shared love of rock n’ roll music; the kind that is haunted by the ghost of electric dirt. Take the good-time revolutionary spirit of MC5, simmer it down to the sounds of bittersweet soul yearning, add some rough-edged Jon Spencer Blues Explosion, and you are in the cosmic transcendental realm of the Sprockets. After movin’ and shakin’ 2011 to its core with their debut LP ‘Honeyskippin’, june 2014 saw the boys unleash their follow up ‘Brother Nature’; a catchy, unifying, soul cryin’, rock n’ roll record, that will keep you going back for more. The critically acclaimed album ended the week at no.11 in the official album charts. The Sprockets took to the road in celebration of the album with an Irish tour which finished on a high note with a sold out show in the Button Factory. Musical Award winners in their own country of Ireland, this year sees them cross the world with courage, audacity and revolt. In the last few months alone, they have toured the UK, Germany, Canada anf USA, making an appearance on MTV’s The Real World in Chicago. They launched their very own radio show ‘Honey Skippin’ With The Hot Sprockets’ on Radiomade.ie, and their song ‘Cruisin’ graced our television sets as the soundtrack for the new AIB ad campaign. The place where The Hot Sprockets are at their best is on a stage, performing for an audience. Live, their take-no-prisoners, white hot, bone breaking approach is stirring up lips among men and women of all tastes and flavours. November sees the start of a seven week tour of Ireland, which will take the guys right through to Christmas, with a headline show at Dublin’s premier venue Vicar St. So sit back, and get ready for the ride, as The Hot Sprockets put their own stamp on rock n’ roll. This is more than a band, it’s a force of nature.